Chinese consumers are boosting their online purchases of luxury goods as smartphone penetration continues to grow rapidly, according to a survey released by global consultancy KPMG. According to a recent survey of 10,150 consumers in China, the average spend levels went up about 28% compared to the previous 2014 survey. 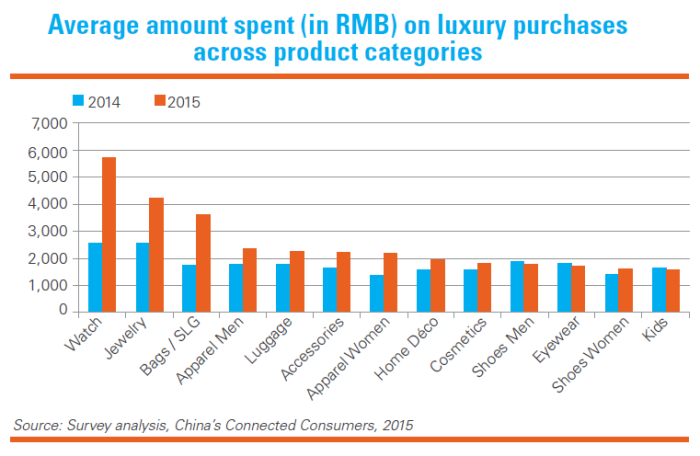 China’s consumers are spending close to one-third more on online purchases – averaging around RMB 2,300 on each single luxury transaction. 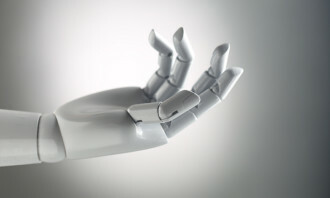 KPMG has launched a new e-commerce survey, in partnership with Mei.com, titled “China’s Connected Consumers”. 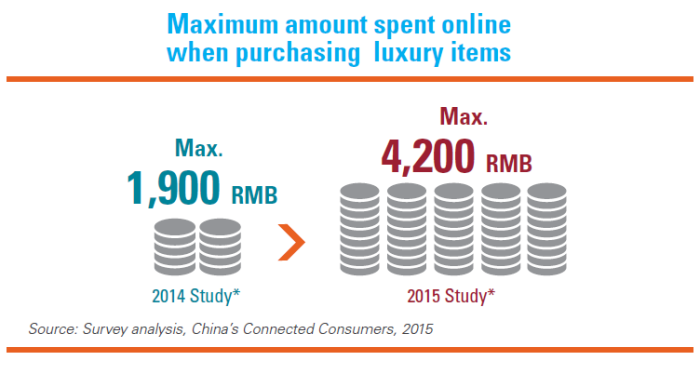 The survey analyses responses from 10,150 luxury consumers in China on their online spending patterns, and highlights the rise of online transactions, as well as the increasingly important roles of social media and mobile devices. Amongst the key findings, 45% of respondents said they purchased most of their luxury items through online options. 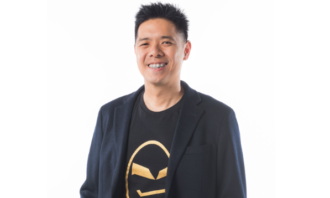 They also indicated the maximum amount they felt comfortable paying online for a single item is RMB 4,200 – far higher than the RMB 1,900 they indicated in 2014 – an increase of 121%. The top driver for purchasing online remains pricing and better deals. However, the survey found that close to one-third of respondents had made luxury online purchases at the full, non-discounted price. 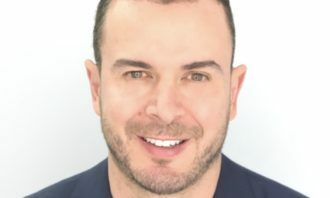 “Price is becoming less of a driver, but value remains important as customers are well informed about global prices, since most of them travel physically or digitally.” Thibault Villet, CEO of Mei.com, comments. Not that many years ago, overseas products could only be bought in a few selected stores in the top-tier cities. Fast-forward to 2015 and Chinese shoppers have access to a global selection of brands and retailers through just a mouse click or a swipe on a smartphone screen. 48%of luxury shoppers had bought items overseas over the previous 12 months, and more than two-thirds of these claimed they increased their overseas online luxury purchases in the past 12 months. The study also finds out a higher amount spent on average for popular categories such as bags (109%), women’s apparel (58%) and cosmetics (18%), and also noted a significant increase in spending on categories such as watches (126%) and jewelry (65%) that accounts for a relatively smaller share of total online luxury sales. Cosmetics is the most popular product bought online, followed by women’s shoes, bags and leather goods, women’s apparel and accessories. Online to offline (O2O) meanwhile is an important and growing trend; the survey finds that among the key online triggers to purchase luxury e-commerce, the most persuasive one is reading about a product on a blog or social site and seeing the product in an online shop. While online shops are setting up temporary or pop-up stores, most luxury brands are also increasingly developing their China websites and shops on popular ecommerce platforms. Following the re-appointment, the agency will provide social media listening, social media analysis, and social media response ser.. 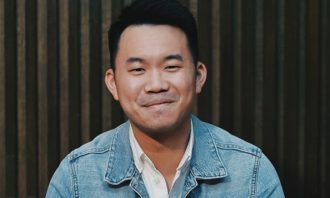 In response, YouTube took several actions over the last 48 hours, including disabling comments on tens of millions of videos that ..